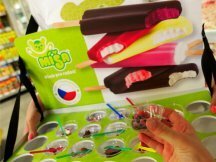 The Czech traditional Míša is coming with 2 summer news. 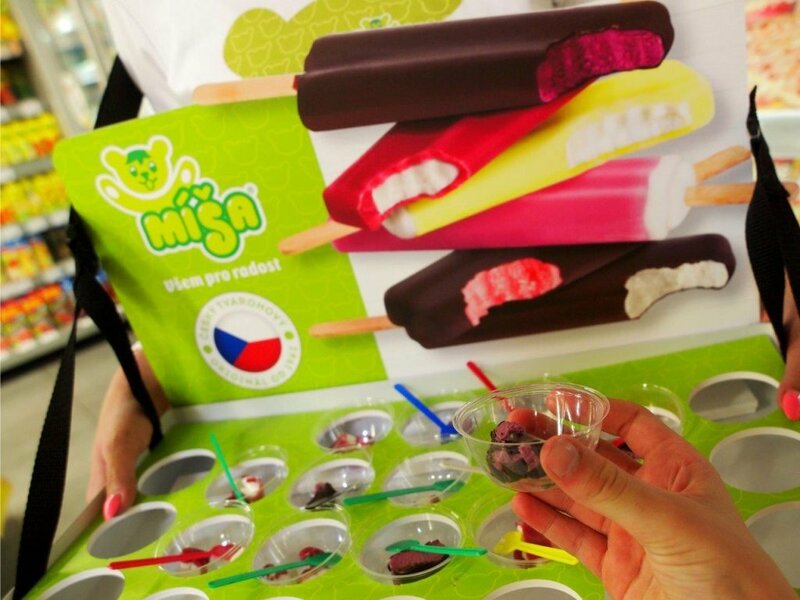 „Forest Fruit“ and „Blueberry“ are actively promed by ppm factum at Czech hypermarkets. 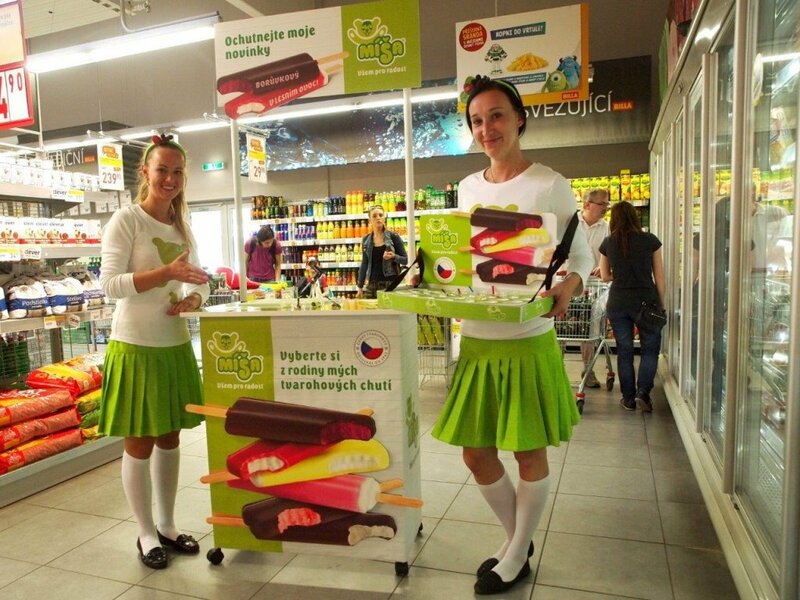 Highly visible promo stands were created specially for the promotion and hostesses wear original Tutu skirts with Míša logo print. 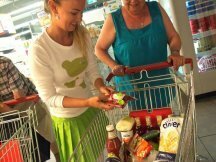 ppm thought about ordinary shopping trip when the customer does not always go through frozen segments. 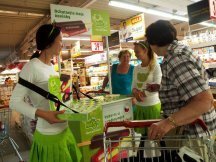 Hostesses were thus equipped by movable freezer to be able to find their customers anywhere at the store. 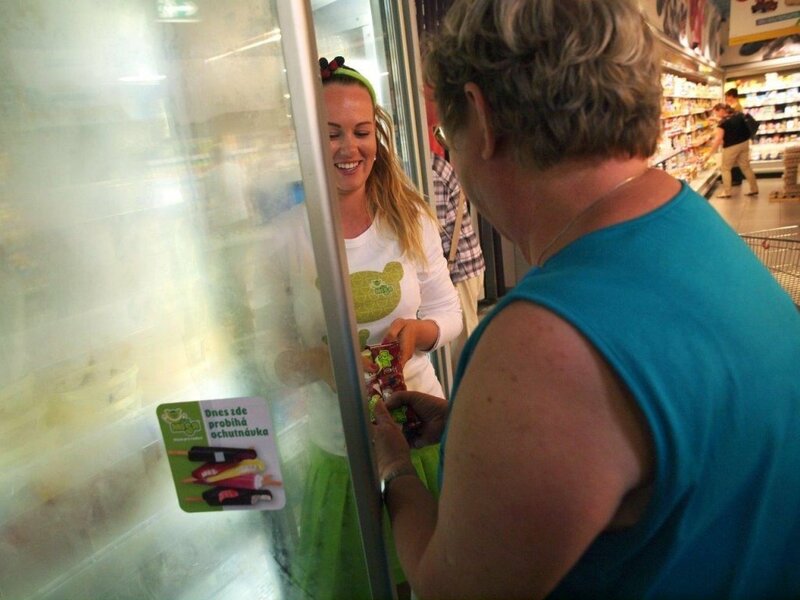 There are also wobblers placed at the freeze section showing where to find the promo stands to maximize the effectivity of the promotion. 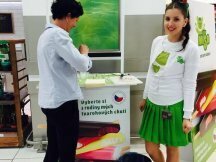 This all leads to the extraordinary successful promotion when Míša freshmen were tested by 90% of customers who met our hostesses. 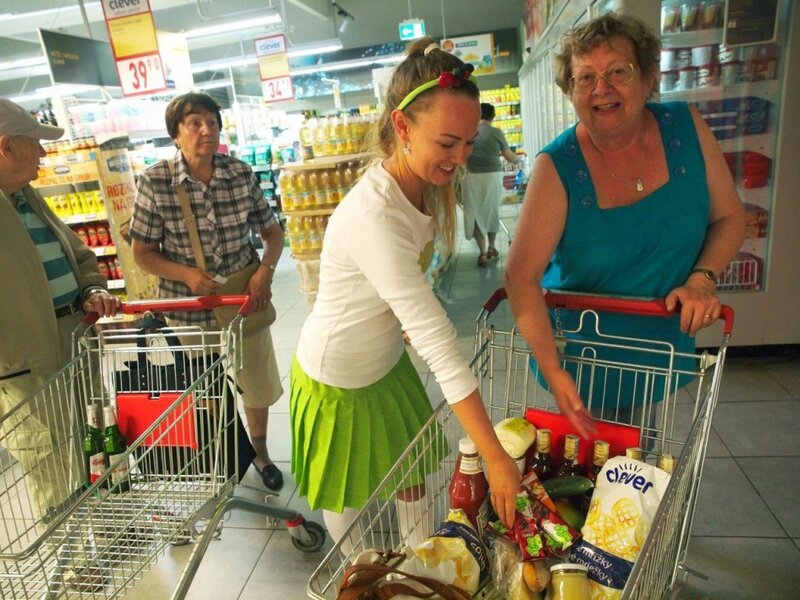 The customers reaction and the whole promotion can be seen at our photogallery.